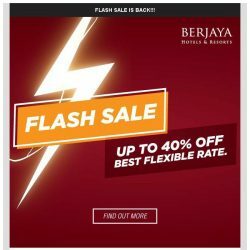 [Berjaya Hotels & Resorts EDm] Flash Sale is Back!! 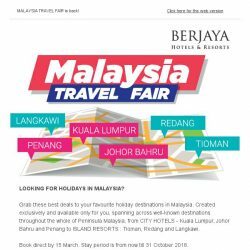 Don’t missed it. 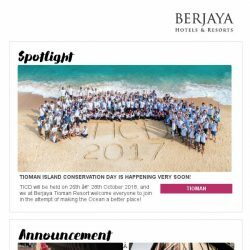 [Berjaya Hotels & Resorts EDm] Welcome the Amazing April! 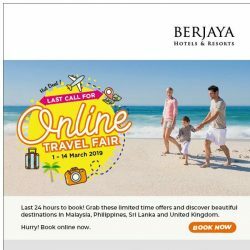 [Berjaya Hotels & Resorts EDm] [ Only 24Hrs left  ] Last Call for Online Travel Fair! 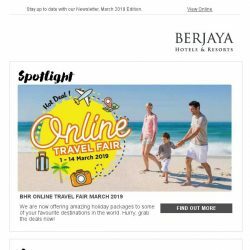 [Berjaya Hotels & Resorts EDm] Marvelous March is here – it’s time for holiday! 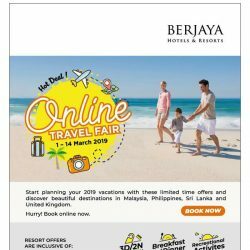 [Berjaya Hotels & Resorts EDm] Online Travel Fair – Hot Deals! 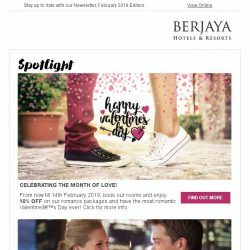 [Berjaya Hotels & Resorts EDm] It’s February – the month of love and affection! 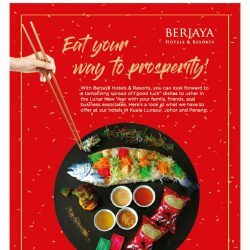 [Berjaya Hotels & Resorts EDm] Toss Your Yee Sang With Us! 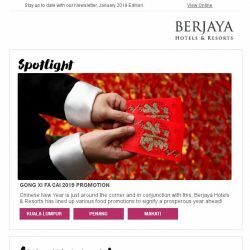 [Berjaya Hotels & Resorts EDm] Welcoming 2019 with a BANG! 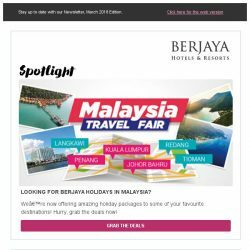 [Berjaya Hotels & Resorts EDm] Let’s Go To Berjaya Hills This School Holidays! 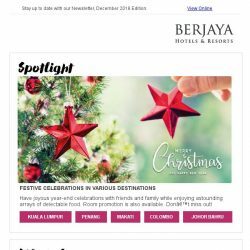 [Berjaya Hotels & Resorts EDm] Celebrate year-end festivals with Berjaya Hotels and Resorts! 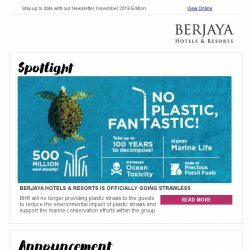 [Berjaya Hotels & Resorts EDm] Great deals coming your way in November! 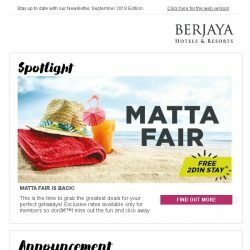 [Berjaya Hotels & Resorts EDm] Let’s have an Ohh-some October with BHR! 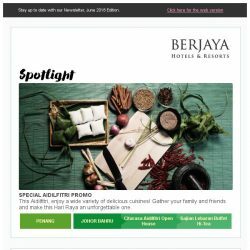 [Berjaya Hotels & Resorts EDm] You wouldn’t want to miss our September Specials! 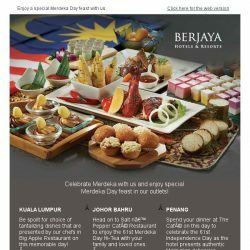 [Berjaya Hotels & Resorts EDm] Celebrate Merdeka with us! 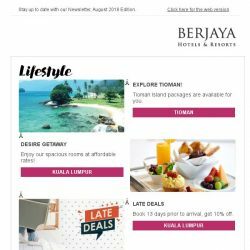 [Berjaya Hotels & Resorts EDm] Awesome August with Berjaya Hotels and Resorts! 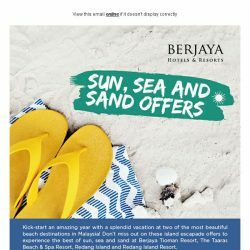 [Berjaya Hotels & Resorts EDm] Enjoy Exciting Deals with Berjaya Hotels and Resorts! 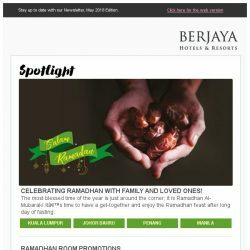 [Berjaya Hotels & Resorts EDm] It’s the month of celebrations! 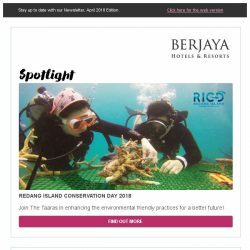 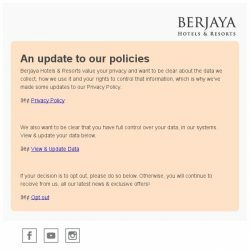 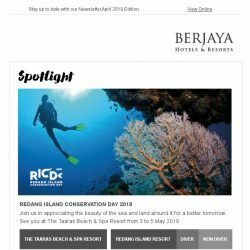 [Berjaya Hotels & Resorts EDm] Awesome April with Berjaya Hotels and Resorts! 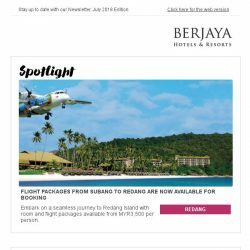 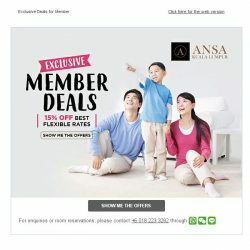 [Berjaya Hotels & Resorts EDm] Vacation Deals You Won’t Want to Miss! 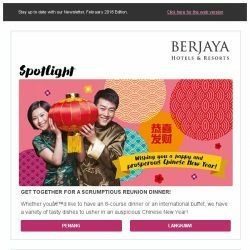 [Berjaya Hotels & Resorts EDm] Celebrate Lunar New Year with a fun-filled holiday!